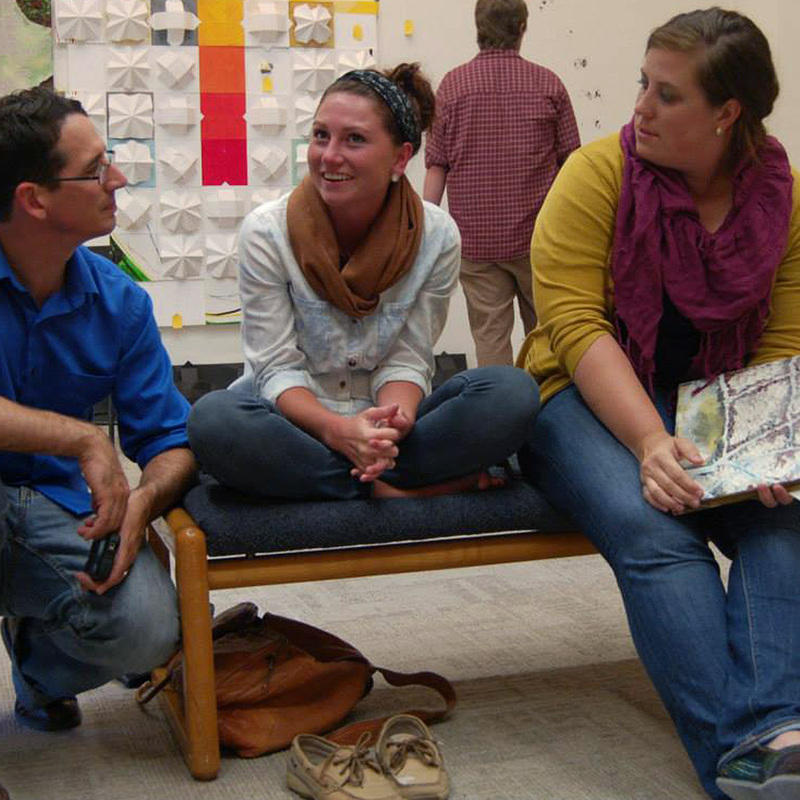 “You Have Not Seen” was a site-specific interactive art installation located in the gallery of Bluffton University. It was installed in the fall of 2013 and was open to the public for a month before the installation was disassembled and distributed to reception attendees. 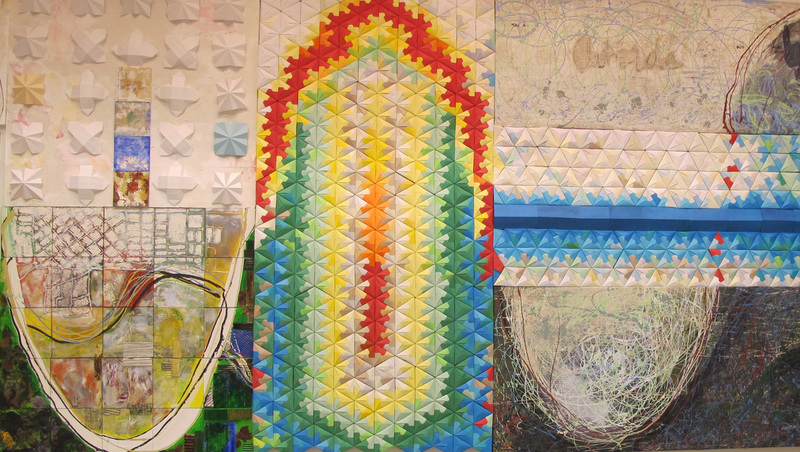 Fragments of the installation now hang in dorm rooms, business, studios and homes. You have to trust the things you can’t name, you feel through your body, you take in the world through your skin. You Have Not Seen was really two projects. 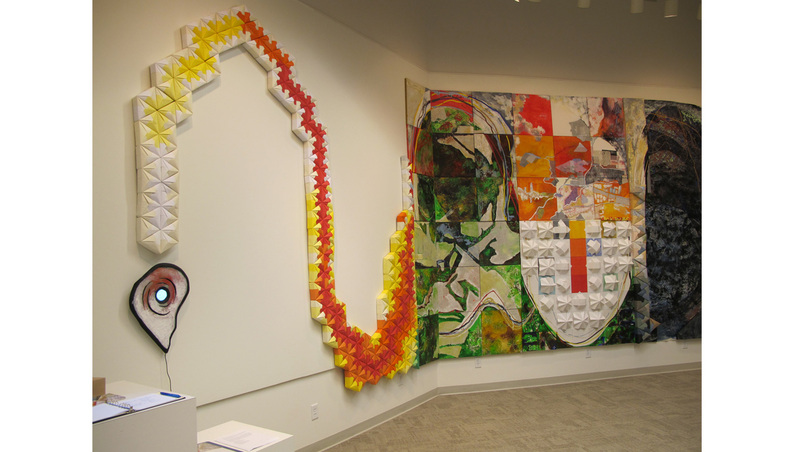 The first project was comprised of a large scale gallery installation (over 720 square feet of art) in Bluffton University’s Grace Albrecht gallery. 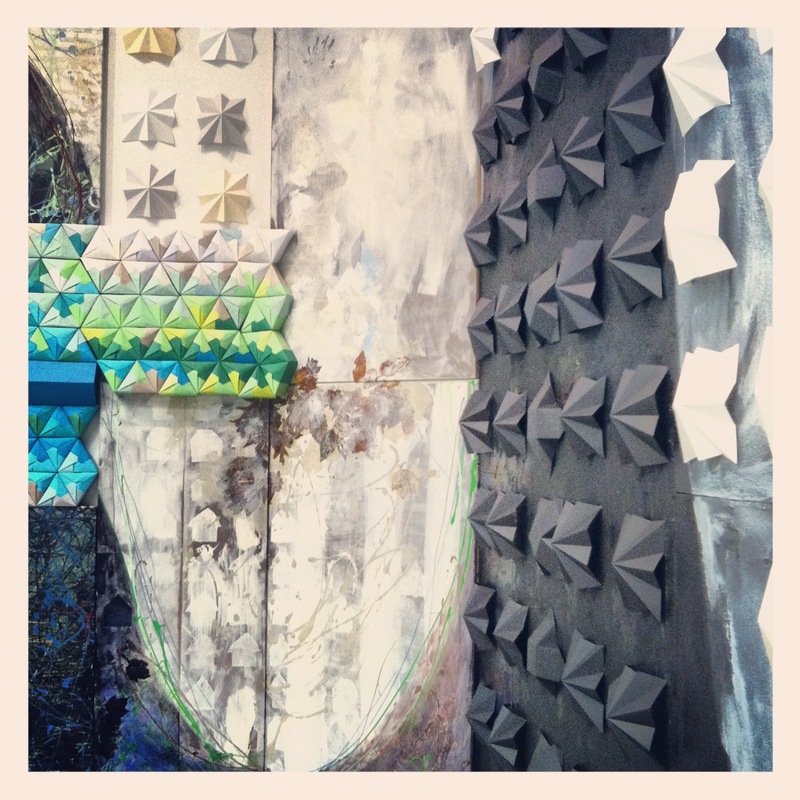 The installation included several musical compositions which played simultaneously in different parts of the room. The second project was an experimental event that took place on the last day of the exhibition. 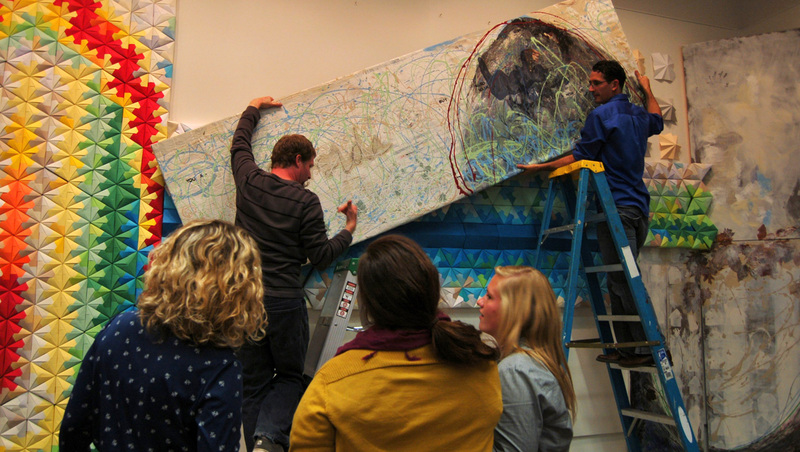 On September 22nd we disassembled the installation and gave away the art. Each person who came to the reception was given the opportunity to take a piece of art home with them (until all the art was gone). 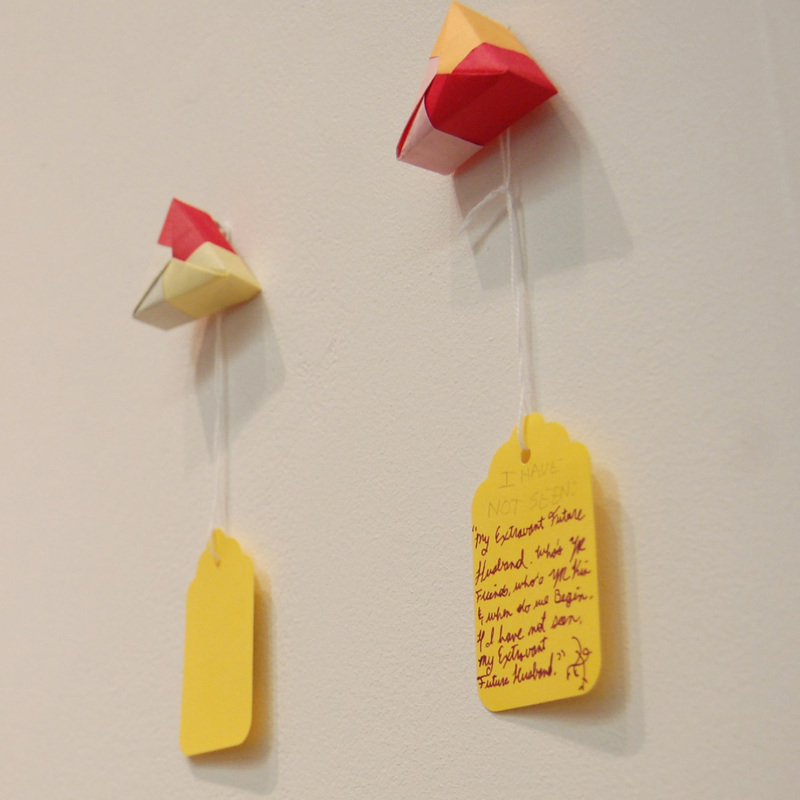 People filled out a yellow tag with something that “they have not seen.” People hung the yellow tags in the place of the artwork. Peoples’ tag lines were very different: I have not seen. . . “peace on earth”, “a monster truck”, “an elephant fly”, “the wind or the way time moves”, “the end of grace”, “antartica”, “mine and my sister’s hearts unguarded to each other”..
A wonderful cross-section of the community turned up for this event, including professors, friends from inner city Lima, students and locals, filling the gallery to capacity. An amazing ad hoc support team supported the project, including patrons and volunteers, some of which traveled across the country to participate. all the moments over time wrapped into one montage.